Just wanted to pop in and share some excited book news with you all! 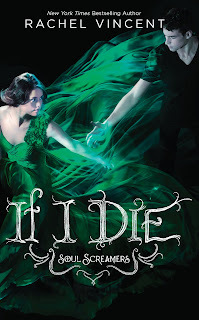 Firstly, the cover for If I Die by Rachel Vincent has been revealed! She posted it on her blog. I think it's beautiful, and can't wait to get my hands on it! Pre-order If I Die NOW! 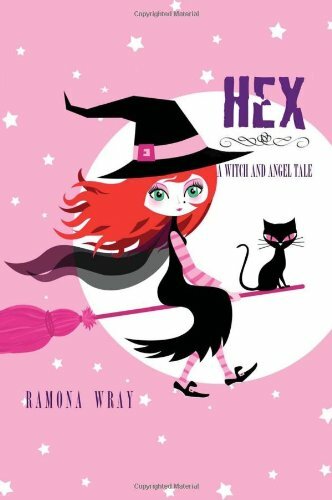 Secondly, one of my favorite books by one of my favorite authors, Hex, A Witch and Angel Tale by Ramona Wray is available on Kindle for $0.99!!! This offer will not last long, so get it while you can! ALSO! Even more amazing is that, for the first time ever, Hex, A Witch and Angel Tale is finally available on the Nook for $0.99 as well! I'm so happy about this, as I'm a Nook user, and I've been dying to have it on there! Again, the 99 cents won't last long (Ramona was going to bring it up after a week, but I talked her into a month!) so get it fast! ANYONE WHO WANTS TO CONTACT ME! PLEASE READ! I WILL be answering emails. If you need to get in touch with me, please, email me at lolitamuse9@gmail.com. This one for Ryder. Describe the first thing you thought of Lily the first time you saw her. Did you somehow know that she would be the one? Was it love at first sight? Do you ever wonder how it might’ve been like if you had just married your fiancée? Ryder ignores him, turning back to me. As I was saying, yeah ... She came back home, we were introduced, I took one look at her, and I knew we were all in deep trouble. (He smiles) Turns out I was right. (Lucian turns on the charm faucet and bats his really long, eyelashes at me) Tsk, tsk, tsk... (shakes his head) Ashley, sweetheart, don’t you know anything? (Um, no, not really, when he looks at me like that) I’m hot because I’m a celestial being, pet. (Shrugs indifferently) But, I’m only half celestial, hence the jerk part. Besides, (fixes his eyes on me and, OMG, he is sooo hot!) girls don’t mind hot jerks (he’s almost whispering now. And still staring at me) You don’t mind I’m a jerk, now, do you? (Help! Air! Finally breaks eye contact, shrugging again. Phew!) You’re too much of a good girl for me, pet. (Grins playfully) You wouldn’t know what to do with me. This next question is for the both Ryder and Lucian. How does it feel knowing that both of you are in love with the same girl? Lucian, if you could become a human, would you? Why? Ryder, if somehow Lily never came back again, would you find someone else to love? All right boys, our time is almost up, so I have one more question: Do you think, assuming the circumstances were different, the two of you might not hate each other so much? I was brought up in Romania by my grandparents, a couple of fantastic storytellers who filled my childhood with magic and stories about witches (vrajitoare), vampires (vampiri), fairies (iele or zane) and so much more. I grew up with a strong sense of the supernatural and from that to sitting down at a desk and crafting my own fantastic tales was only a small step, which I took early. I wrote poetry, even a few novels, short stories and essays, some of which occasionally appeared in the local newspapers. The fall of the Communist bloc in 1989 brought about a great deal of change in Romania. To this day, the younger generations have welcomed and continue to welcome the opportunity to work and live abroad. It was what I chose for myself as well. Ten years later, I'm married, mother to one little boy and currently living in Plymouth. For the past decade I lived in a few places, traveled to a few others, and learned, and adapted, all the while searching for a place to fit in. There has been a lot of change, but the important things stayed the same. They usually do...I never stopped writing, no matter where I went or what I did. Switching from Romanian to English has taken some time, but today I couldn't even imagine going back. It's important to chase our dreams, no matter what stands in the way, and the only way to do it is by moving forward. Always forward. I read, write (and sometimes even breathe) YA fiction and my own contribution to the genre comes in a blend of romance, paranormal, and thriller. 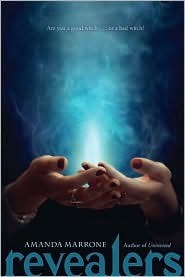 My first published novel, Hex, a witch & angel tale, is both a supernatural romance and a mystery. What I love: books (I read at least one every week), languages (I speak a few), ballet (and ballroom dancing, and any other kind of dancing with the exception of Russian Kazachok which, as it turns out, can result in serious injuries), vampires (as any other respectable Romanian) and pie (to make, eat and share). What I'm grateful for: my soft-spoken husband, my beautiful son, my loving family, my wonderful friends from all over the world and for being alive. Since I had a suckish IMM this week (only 1 book) I decided to make up for it by bringing Jasper back in front of the camera. Beware, when Jasper and I get together, insane things happen. I have a Q & A session with him, in which some frightening things are revealed about everyone's favorite hamster! In all seriousness, comment with any book related questions you may have for Jasper! He will be more than happy to answer them! That's all for this week, my delicious blueberries. Let me know what you got in the mailbox! I’ve been meaning to write this post for a while, but I never really came up with the right words to say. But, here it is. But then that one things happens that completely turns everything around, and it makes me thankful everyday for blogging, and for continuing to blog. If it hasn’t happened yet, trust me, it will. The one thing for me was this: I made a friend. I’ve made several wonderful and fantastic new friends since I started blogging, and I love you all. :-) But there is one friend that I have made that has gone above and beyond what she started out to be. She’s become a confidant, the person I can lean on, a true friend. And that means more to me than any book I could ever read, or whatever else. It’s a great feeling, to know that’s she’s there for me, and I will definitely be there for her, whatever it is. I still don’t feel like this post completely articulates exactly what I want to say. I don’t think anything ever will, because how can you put friendship into words? But I just wanted to say thank you so much for being my friend. Prudence has always been interested in medicine and science-- ever since her brother died. But she’s stuck in a girl’s preparatory school learning to be a prim and proper secretary. But then she gets the opportunity of a lifetime to work in the office of Health and Sanitation, and help track down diseases and stop them in their tracks. The concept of the novel was original and intriguing, and actually made my skin crawl a little. Julie took a little piece of history and created a story from it, blending real life people with fictional ones of her own as well as tid-bits of science and medicine. I had never heard of the story of Typhoid Mary, but it seems like something awful to have lived through, especially for Mary herself. She was simply an Irish woman looking for an honest day’s work cooking for people, but little did she know that she was leaving a trail of disease and death wherever she went. Adding to the scientific journey of uncovering the cause of Typhoid and how to stop it is a story of maturing and leaving childhood behind, as well as dealing with loss, and the wonders and sorrows of first (and unrequited) love. Prudence sees the world through much different eyes after her experience with the scientific community. She also embraces the fact that women cane be-- and are-- just as smart as men, and pursuing a career in medicine and science is a viable and completely attainable option for her. The book is written in journals by Prudence, and the chapters aren’t too long, making this not only an entertaining read, but a relatively quick one as well. There are illustrations scattered throughout the book, supposedly drawn by --, detailing the new discoveries and interesting happenings of the day. I thought this added to the general ambiance of the novel, and made the overall reading experience much more entertaining. The only issue I had was that I never felt any form of deep connection or understanding with any of the characters, even Prudence. Since it is told from the personal perspective of Prudence as she looks back on her day, we only get to see her point of view on certain people. I didn’t like or dislike any of the characters, I was just kind of apathetic. 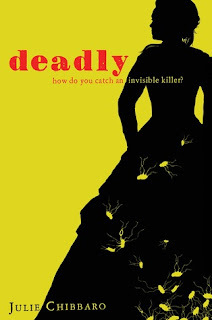 Part historical fiction, part scientific mystery, Deadly is sure to be an engrossing and possibly eye opening novel. I recommend it for avid fans of historical fiction. I give this novel 3.5 stars out of 5. Beautiful sisters Elizabeth and Diana Holland rule Manhattan’s social scene. Or so it appears. When the girls discover their status among the New York socialite elite is far from secure, suddenly everyone—from the backstabbing Penelope Hayes, to the debonair bachelor Henry Schoonmaker, to the spiteful maid Lina Broud—threatens Elizabeth’s and Diana’s golden futures. 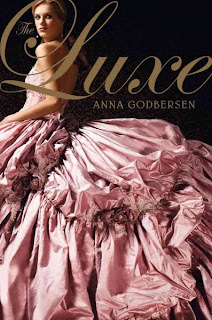 Anna Godbersen’s debut novel, The Luxe, was engaging and well written with descriptive prose and vivid imagery. The story revolves around five protagonists—Elizabeth & Diana Holland, Lina Broud, Henry Schoonmaker, and Penelope Hayes—who find themselves struggling to find love and a sense of self-confidence, while dealing with backstabbing friends and scandals at every turn in the high society of the late 19th century New York. I didn’t get too emotionally involved with the characters, because I felt that they remained aloof and untouchable, but I did like them. Diana is my favorite, because she has a rebellious streak in here that is very ahead of her time. She’s impetuous and a rule-breaker, and I loved her. The only characters I absolutely could not bring myself to even tolerate were Penelope and Lina Broud. Those two just annoyed me. I usually don’t read too much historical fiction, but after reading The Luxe, I certainly want to read not only more of this series, but more of the genre in general. The Luxe is a true diamond in a sea of jewels, and stands out among prominently among the rest. Godbersen’s writing style was eloquent and flowed well, and was certainly not lacking in description. This is what, for me, set The Luxe out from other Victorian-set fiction that I’ve read. Even though at times the descriptions could be a little over-bearing, it didn’t detract too much from the novel as to make me dislike it. Although some paragraphs can be skimmed through without damaging your impression of the novel. The cover is one of the most gorgeous covers I have ever seen. That dress is simply the embodiment of loveliness, and I feel that it represents the novel perfectly. Bravo do whoever designed the cover! 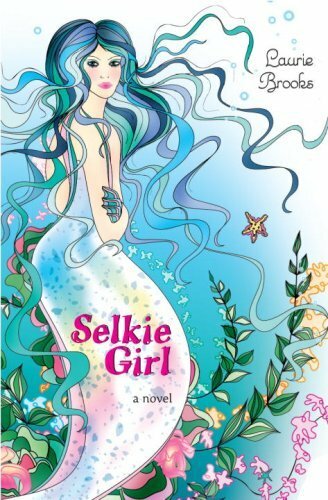 Overall, I enjoyed this novel very much, and am looking forward to finishing the series soon! I give this novel 4 out of 5 stars. The Aebrian military has infiltrated yet another country. A great novel that really captivated me, even if it lacked in action at times. Shinn created a beautiful world that was very believable, along with complex and deep characters. Shinn’s writing style flowed seamlessly, weaving a world plagued with war, yet seen through the eyes of the conquerer. Sharon Shinn is a fantastic world builder. She brought to life the world of Chiarrin and its people, illustrating their customs and way of life. I could see the parallels in this novel between Shinn’s world, and our world, and that made it even more interesting to read. It was almost a ‘read between the lines’ message about our world today. Averie was my favorite character, as she was headstrong and obstinate. Although some of her decisions were foolish and impulsive, and sometimes she was a little slow to catch the obvious, she was an enjoyable character to have her story told. We watch her come to the realization that the world around her was different than what she was used to, and what right did her country have to change that? And reading her transformation as she became aware of her surroundings, and of her true feelings for those around her, were some of the best parts of the story. Her blossoming relationship with Ket Du’Kai was my favorite aspect of the novel, mostly because I also loved him as a character. This novel won’t appeal to everyone, though. 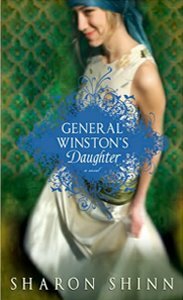 If you’re a fan of Robin McKinley, or of high fantasy novels, you may enjoy General Winston’s Daughter. I give this novel 3.5 out of 5 stars. Hey! Got some amazing books in this week's In My Mailbox, as well as a great gift that makes me smile incessantly. Check out the vlog! And thank you to Allison from Harper Teen, Megan from Goldberg McDuffie, and Amazon Encore for sending me some great books! April 11th- What’s Your Story? Be sure to stop by and check out everyone's reviews, as well as other goodies like guest posts by Ramona, interviews with her, and giveaways of Hex! On Monday, I kick off the tour with a guest post from Ramona on the topic of "characters we love to hate." Don't miss it! THANK YOU to Ramona for being the amazing and talented woman that she is, and more importantly for being such a great friend. And thank you to all the great bloggers who joined the tour! 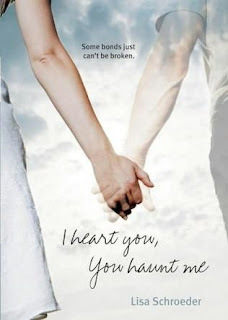 I'm giving away a copy of I Heart You, You Haunt Me by Lisa Shroeder ! This giveaway will last until April 17th! Open to US ONLY. I just got my copy of City of Fallen Angels by Cassandra Clare , and since this has to be the most anticipated book of the year thus far, I figured I'd give those who do not have a copy yet a little teaser to tide them over. He pulled her toward him and kissed her, and for a moment she froze, suddenly very conscious that all she was wearing was a thing T-shirt and underwear. Then she went boneless against him. It was the sort of lingering kiss that turned her insides to water. The sort of kiss that might have made her feel that nothing was wrong, that things were as they had been before, and he was only glad to see her. But when his hands went to lift the hem of her shirt, she pushed them away. If you just can't wait anymore, then go here to buy CoFA from Amazon ! Hurry up, it's majorly discounted, so get it quick! Plus, who wouldn't want to read the awesomeness that is Jace? Any content from City of Fallen Angels belongs to Cassandra Clare. 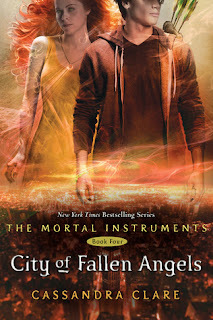 Today, April 5th, City of Fallen Angels by Cassandra Clare was released for purchase. This is the 4th book in the Mortal Instruments series. Yan, from Books By Their Cover! In My Mailbox is started by Kristi at The Story Siren.